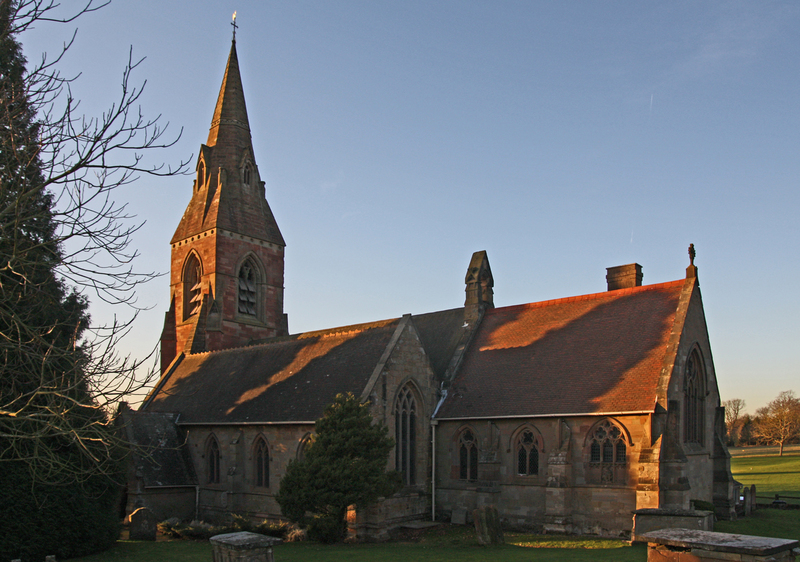 A striking red sandstone church with origins in the 13th century. 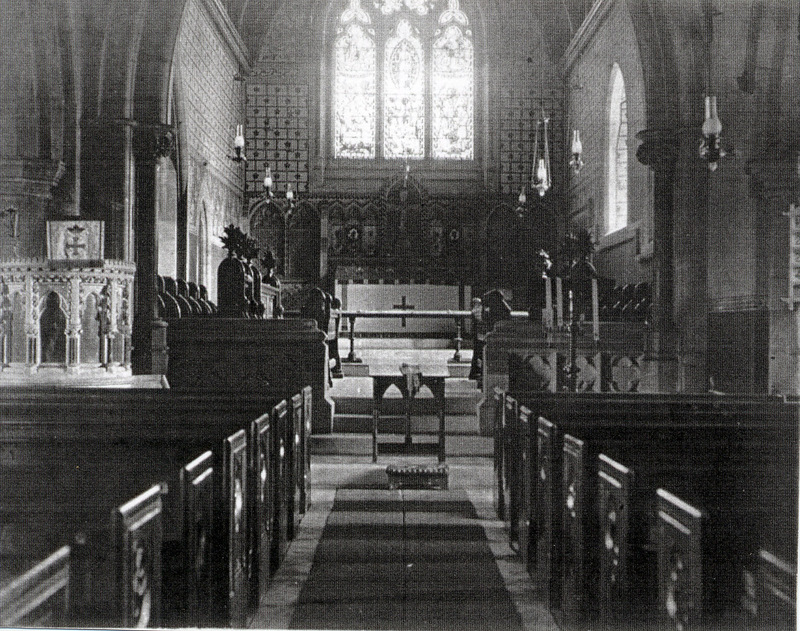 It was restored in the 18th century and the north aisle added by Thomas Chatwin in 1826. Expanded and altered by G E Street c1860 with the west spire being added in 1865. 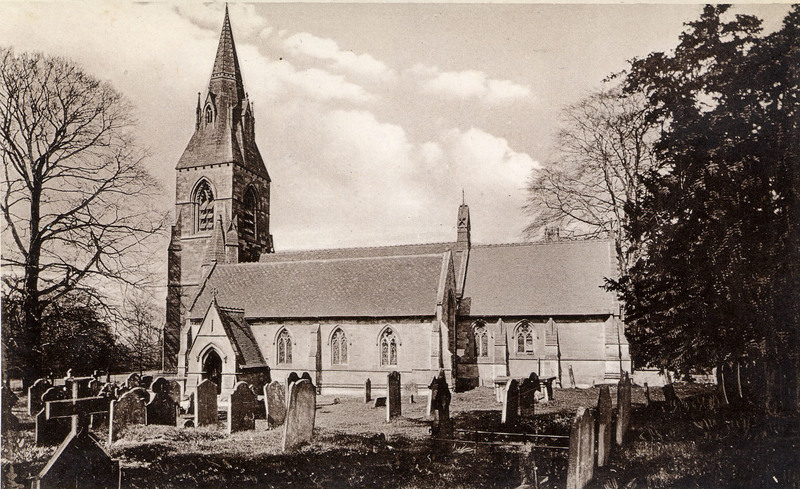 St John the Baptist from old undated postcards. 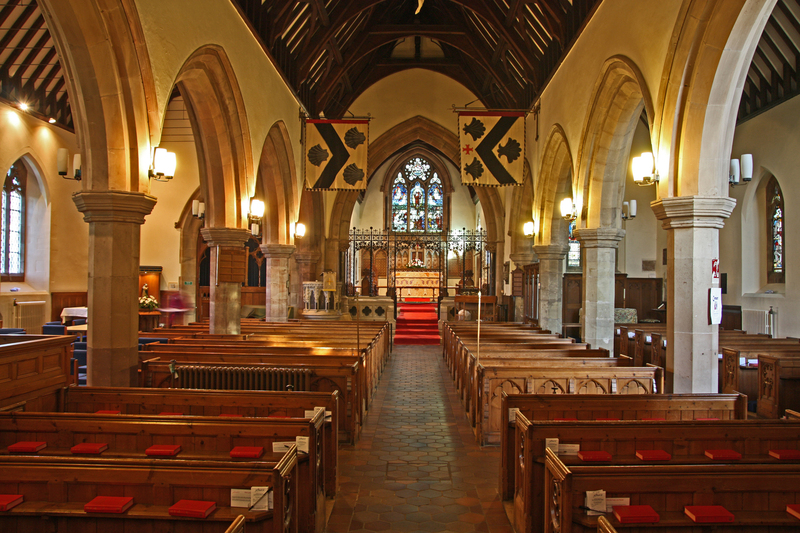 St John the Baptist, January 2012. Aitken, John. Census of Religious Worship, 1851: The Returns for Worcestershire. n.b. Full details of these books are on the Bibliography Page. Websites: British History Online: Entry for Hagley. Grade II* Listed Building: Listing Details Here. Church Plans Online: Ground plans of 1826. Please click on red text for links. External websites will open in a new window. Page updated February 2017.